The new top-end variant of the Maruti Suzuki Ertiga is going to retail as a premium trim of this MPV and will retail through the brand’s Nexa dealerships. In order to woo customer who may be shying away from the Ertiga due to it not offering a ‘premium’ experience, Maruti Suzuki is soon going to introduce an all-new top-spec trim for this MPV in India. It will sit above the current top-spec ZXI Plus and might even get an altogether new nomenclature. 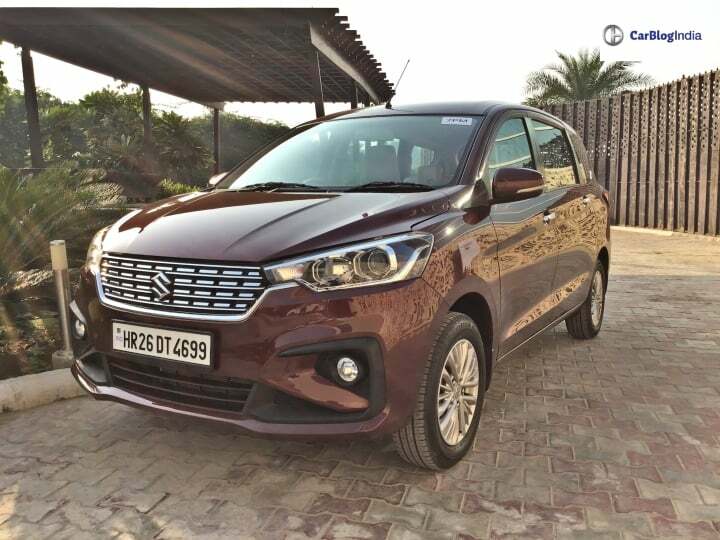 It is likely that Maruti Suzuki might retail this new premium variant of the Ertiga through its Nexa dealership outlets. Though we do not expect a major overhaul in term of the car’s aesthetics, there are chances that this new variant may come with additional features. For Instance, we are likely to see the fabric upholstery give way to a faux leather one. In addition to this, one of the unique features of this new top-spec trim of the Maruti Suzuki Ertiga is going to be its seat layout. While the rest of the variants are currently available only in a seven-seater layout, this new top-spec variant is going to go on sale in a six-seat set-up i.e. with captain seats. Other MPVs in India, which include the Marazzo and Innova, though placed in segments above the Maruti Suzuki Ertiga, offer a six-seater set-up. In addition to offering additional premium features, we have reason to believe that this new variant of the Maruti Ertiga will be the one to get the automaker’s in-house developed diesel engine. The oil-burner, which is a 1.5-litre unit, will retail in addition to the existing 1.3-litre, Fiat sourced motor. As the deadline for the BS-VI emission regulations comes close, Maruti is going to discontinue the 1.3-litre, mill and upgrade the 1.5-litre motor to BS-VI of which it will launch a BS-IV version only. In addition to making its cut in the Maruti Suzuki Ertiga, this new 1.5-litre mill is going to feature in the Ciaz as well as the Vitara Brezza soon enough.